When an English farmer spotted an osprey a century ago, she would aim her shotgun at the broad silhouette and shoot. “They were seen as vermin,” says Alan Poole, a senior research associate at Cornell University. Europeans were fond of building backyard fish ponds and ospreys were apt to snag a quick meal. The landowners didn’t take kindly to the intruders. 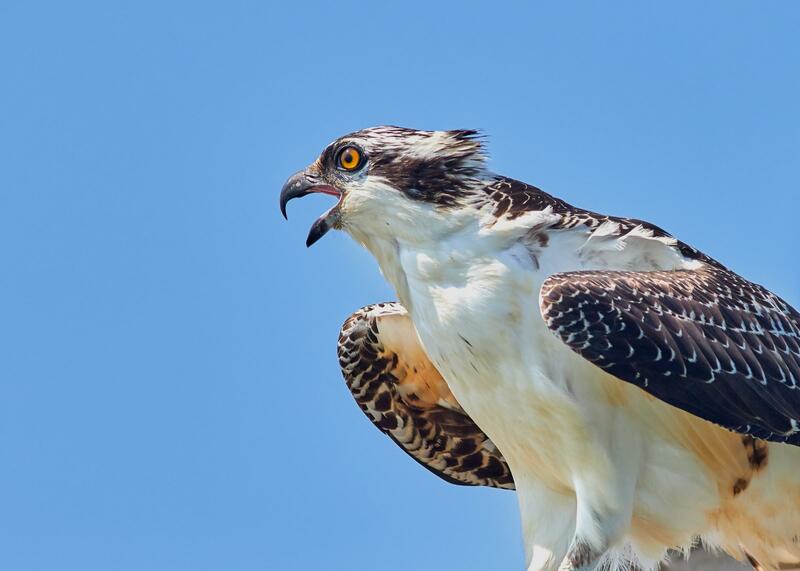 “Ospreys were basically hunted to extinction,” says Poole, who wrote the 2019 book Ospreys: The Revival of a Global Raptor. In the U.S., farmers looked more favorably on ospreys, who kept clear of their livestock and were thought to scare off other birds of prey. But after World War II, another danger emerged. The pesticide DDT filtered into the landscape and poisoned the birds, weakening their eggshells so that few chicks hatched. From the coastline between New York City and Boston, the osprey population plummeted from close to a thousand breeding pairs to less than a hundred, says Poole. Today the birds are back and more populous than ever. That’s after U.S. lawmakers banned DDT and citizens throughout the country erected nest platforms for the birds. In Europe, a growing conservation moment coincided with the decline of hunting. “It’s really that simple: people stopped shooting ospreys,” Poole says. Ospreys’ revival is also thanks to the birds themselves. They don’t mind human neighbors and are happy to build their nests in just about any high, out-of-the-way spot. Threats to the birds still linger. At fish farms in Eastern Europe and Latin America, farmers continue to shoot ospreys, sometimes in the hundreds each year. Elsa Partan is the producer of Living Lab Radio. Heather Goldstone is executive producer. The sounds fish make can actually be an important tool for scientists attempting to track and manage fish populations. Underwater microphones can identify the presence of invasive species or reveal when and where fish are mating. The question of why zebras have stripes goes back to the time of Charles Darwin. One theory goes that they work as camouflage. Another theory is that they are an identification system that only zebras can understand. Now we know that the stripes serve as an important protection against biting flies.